The Sooner State is in an enviable position when it comes to legal Oklahoma sports betting. The state has a few really excellent sports teams in the University of Oklahoma Sooners and the OKC Thunder and a fairly open legal climate that allows those teams’ rabid fanbases to wager on their games with relative freedom. Currently, the best way for Oklahomans to enjoy legal Oklahoma sports betting is going to offshore gambling websites. Despite its own state laws being silent on the matter of legal sports betting, the presence of a successful casino industry and no prohibitions on online gambling, Oklahomans that want to wager on sporting events have to do so at offshore gambling websites. That being said, Oklahomans looking to get into sports betting should be aware that the state has never prosecuted anyone for gambling on sports. Oklahoma is a state has been a “gambling friendly” one for decades, as it is home to more than 111 casinos. This burgeoning industry is owned and operated by the descendants of the Indian tribes resettled in Oklahoma during the 19th century, and today their casinos generate massive tax revenues for the state. Oklahoma’s casino industry could soon experience another boom with the nationwide availability of legal sports betting. All in all, legal Oklahoma sports betting would be a huge win for the state and the industry as well. 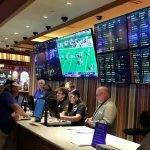 Is Land-Based Sports Betting Legal In Oklahoma? Currently, land-based sports betting is not legal in Oklahoma. That will change soon. 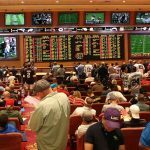 There are no federal restrictions that prevent sports betting in the US and Oklahoma’s legislature is working on legalizing sports betting in the state. The bills will be discussed in detail in a later section. Because Oklahoma is such a gambling-friendly state, it’s only a matter of time before these bills pass and land-based sports betting becomes legal in Oklahoma. In similar fashion to the question above, Oklahoma is, for now, not legally able to decide to regulate online sports betting. However, many Oklahomans and millions of other Americans in the same position because of their state laws take their betting online, where numerous legal sports betting websites based in foreign countries abound. These sites, such as Bovada, BetOnline SportsBetting, and 5Dimes are 100 percent legitimate – they just aren’t regulated under US law. That’s a good thing in this case, as that means these overseas-based gambling platforms can work around the strict US gaming laws to serve American bettors denied by the system: in this case, they are the best means of getting in on legal Oklahoma sports betting. These websites have been used for years, so they have earned the trust of sports betters all across the US. As should be already clear, there is nowhere one can legally bet on sports within the state lines of Oklahoma. Until Oklahoma’s state legislature passes the bills currently being considered its congress, sportsbook operators and casinos cannot accept money on sports betting. However, nothing in Oklahoma law prevents residents there from making wagers at any number of overseas gambling websites. This is going to be true almost everywhere in the country. The best bet for Oklahomans wishing to get in on the sports gambling action is to head for an offshore legal sports betting website. It’s legal, fast, easy and reliable, and most of these websites, namely Bovada, BetOnline, SportsBetting and 5Dimes, are well-regarded and trusted industry leaders with a long history of serving the US market. In the future, sports betting can happen Oklahoma City, Norman, Tulsa, or anywhere else where there is a casino. When it’s all said and done, Oklahoma is actually a pretty decent place to live for sports gambling fans. The Sooner State’s laws on the subject of sports betting are beyond slim – so far beyond that, there is no mention of sports betting in its legal rolls. Oklahoma State Statutes Title 21, § 941 elineates “poker, roulette, craps, gambling games played with cards, dice, credits or any representative of value” all as forms of illegal gambling and makes it a felony to be engaged in the business of those games, but sports gambling is not included. Although there are no current laws regulate the kind of legal Oklahoma sports betting that will soon change. That being said, Oklahoma’s stance on sports betting makes no prohibition against residents placing bets on websites based overseas, which can legally operate outside US jurisdiction. Sites such as Bovada, BetOnline and SportsBetting, and 5Dimes are 100 percent legal and legitimate for Oklahomans to use. Oklahoma is blessed with some consistently good teams that always seem to end up in the running for national championships. On the professional side, there is the Oklahoma City Thunder. OKC is just about always a solid pick for taking the NBA Western Conference Championships. The University of Oklahoma Sooners, named for the state’s official nickname, is a Division 1 football powerhouse. The Sooners’ are always in the running and still remain a relevant team in the Big 12 conference. Betting on horse racing is a popular form of legal Oklahoma sports betting, and it had been for years, as in 1982 the voters chose to allow pari-mutuel betting on the ponies, putting the Oklahoma Horse Racing Act into effect on March 22, 1983. Of additional interest to gamblers is that electronic games are allowed at horse racing facilities. Local municipalities can vote whether or not to prohibit pari-mutuel betting within their county jurisdictions, but so far 12 counties have authorized betting. There are three sanctioned horse racing tracks in Oklahoma. Much like gambling, daily fantasy sports (DFS) is pretty much a wide-open industry in Oklahoma. All the major operators in the segment, including DraftKing and FanDuel as well as PlayDraft and Yahoo’s fantasy sports offering, are available to players in Oklahoma. Sooner State sports fans have two very good teams to root for in the University of Oklahoma football program and the OKC Thunder, and many thousands of Oklahoma residents are reported to engage in DFS contests. With sports betting spreading across the US, daily fantasy sports are sure to grow as well. Oklahomans can enjoy DFS in their state and potentially win some big cash prizes. Below we will talk about some features about DraftKings and FanDuel. Can I Bet Real Money On Sports In Oklahoma? 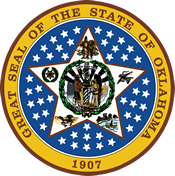 Even if placing bets legally at a facility or on an Oklahoma-based sports betting website is not currently legal in the state, it is still possible for residents of the state to wager real money on sporting events. After most US-based gambling websites were driven out of the market by the passage of the UIGEA, the world of online gambling saw an explosion in the number of offshore sports betting websites. These sits were quick to capitalize on the legal loopholes that don’t criminalize Americans for placing bets on sports via the internet but instead penalize US-based bookmakers. By exploiting the crack in the law, offshore sports gambling websites rose to prominence in the last few years, and they are all too happy to legally take the bets of US customers – and that means offering legal Oklahoma sports betting. It’s even easy to do: all bettors need to do is create an account, log in, use their credit card to place a bet on the event of their choosing and, if they win, accept a check in the mail or take a wire transfer of the funds. Is Online Sports Betting Safe In Oklahoma? Online sports betting in Oklahoma is currently illegal. However, legal sports betting FROM Oklahoma is a different matter. Oklahoma has no specific prohibition against online gambling codified in state law (in fact, online gambling isn’t mentioned anywhere). 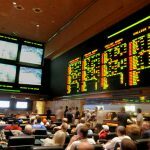 That factor, when combined with offshore sports betting websites like Bovada and other overseas gambling websites being outside US jurisdiction, means Oklahomans can safely and legally bet on the sports. Okies can pick winners among teams of their choosing without fear of either being ripped off by a shady bookie or having the book thrown at them by the State Attorney thanks to that legal loophole. Will Sports Betting In Oklahoma Ever Be Legal? Oklahoma can be considered a gambling-friendly state, with well over 70 casinos all around the state. Although sports gambling is not currently legal in Oklahoma, it will be soon. There are currently two bills introduced by Oklahoma’s state legislature, including H 3375 and S 1175. With passage, these bills would make legal Oklahoma sports betting happen and allow for Okies to enjoy sports betting in their state. Will I Get Arrested For Sports Betting In Oklahoma? If you’re an Okie interested in betting on sports, rest easy: nobody is going to take you to jail if you bet on the Sooners to beat Nebraska in football or for the Thunder to win the NBA championship. That’s because Oklahoma state law doesn’t even mention online gambling anywhere in its rolls. In fact, Oklahoma never prosecuted anyone for gambling online – sports betting included. You’ll have to do your betting online at a foreign-based website, but this is totally legal, so don’t worry about being hauled off if you lay some bets. Bovada, BetOnline and SportsBetting, and 5Dimes are the safest and most secure websites to make sports bets, so Okies can rest easily. What Is the Sports Betting Age In Oklahoma? The legal age for any kind of gambling – sports betting included – in Oklahoma is 18. Many other states require bettors to be 21 before they can legally make wagers, so this a great advantage for Oklahomans. Entry into one of the state’s casinos is usually fixed at 18, but, again, everyone who wants to do any gambling in person will have to be 21 or older. Okies interested in online sports betting can bet on their favorite teams, but only at offshore gambling websites like Bovada, BetOnline, SportsBetting and 5Dimes. All those websites will accept bets from American players provided they are 18 or older, but in some states, it’s advisable for players to wait until they’re 21 just to be on the safe side. It’s not worth the risk of finding out if the website’s terms of service are not in compliance with state law. Are There Mobile Sports Betting Apps Available In Oklahoma? One of the best things about the offshore sports betting websites that serve US players is that all the top sites offer mobile-friendly versions of their services. These websites are already incredibly well laid out and easy to navigate, but the extra touch of being able to place a bet straight from a smartphone via an app is a huge bonus. Most legal Oklahoma sports betting websites offer applications compatible with Apple’s iOS and the Android operating system, so no matter what kind of mobile device one uses, chances are that legal sports betting opportunities abound online. 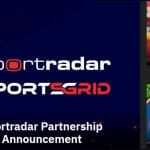 Even better, these mobile sports betting apps are generally going to have identical functionality compared to the main website. Where Is The Best Place To Bet On Sports In Oklahoma? New Mexico is right next door to Oklahoma and Oklahomans could also make a trip to Mississippi. If Oklahomans want to make a trip out of it, these are the closest places to place sports bets. But by far the cheaper and easier route to place bets on sports is simply to head over to a computer or any smart device and go to any of the completely legal offshore sports betting websites. These websites operate outside US legal jurisdiction, so even though federal law would prohibit Oklahomans from placing sports bets at websites operated out of their home state, web platforms like industry leader Bovada offer a great alternative to in-person betting. Should I Use A Local Bookie In Oklahoma? Oklahomans should never – repeat NEVER – use a local bookmaker to place bets on sports. Why? Because if you do, and if you get caught, you could be looking at some serious legal trouble. It’s better just to play it safe and bet online at offshore sports betting website. Besides, using an offshore site is safer and easier than relying on a bookie for your sports betting needs. Do Any Casinos In Oklahoma Have Sports Betting? Oklahoma, with its long history of native-owned gaming facilities, is home to more than 70 casinos across the state. 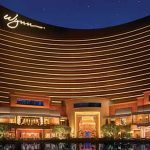 Though these casinos are stocked to the brim with thousands of table games and slot machines, and many even feature excellent restaurants and hotels, sports betting is not going to be found at any. Although the new bills introduced by Oklahoma’s state legislature could change that. However, it’s no great loss in terms of Oklahomans being able to bet on sports, as there are many highly regarded, secure and reliable offshore gambling websites at which it’s completely legal to wager on sporting events. If the bills currently being considered by state legislature passes, Oklahoma casinos could theoretically open their own sportsbooks and sports betting operations, so stay tuned to any developments in this space. Can I Bet On Sports With My Friends In Oklahoma? Oklahoma State Statutes, Title 21, §946 and §947 though they do not mention sports betting with friends explicitly, nor do they refer to the activity as “social gaming,” seem to indicate that getting together with friends and betting on anything, whether cards or an OKC Thunder game, is illegal. §946 says any “persons congregated” at a house, room or place where any prohibited games are opened conducted or carried on constituting a public nuisance and the people managing the whole affair will be guilty of a felony. That carries with it a fine of not less than $500 or a stint in the State Pen for somewhere between one and 10 years. Therefore, because all gambling that goes on outside an authorized casino is illegal, the only way for you and friends to enjoy legal Oklahoma sports betting is to go online at offshore gambling websites like Bovada, 5Dimes, BetOnline and others. In that case, it couldn’t be easier to bet on sports with friends. These websites are mobile accessible and simple to navigate anywhere, so it’s just a matter of picking out which site’s bonuses are the most appealing and place a bet. The convenience factor alone makes online sports betting preferable in most cases, plus it allows players to easily compare their bets with friends and see whose picks come out on top, all in a totally legal setting.